Cooking healthy family meals is really not that hard. The key point is COOKING. If you go through the trouble of cooking meals for your family instead of buying pre-prepared or fast food, you have already conquered half the war. Once you have committed to cooking for your family, the next is learning how to shop for the items that will enable you to do so. Most tips on healthy eating and planning tell you to do most of your grocery shopping on the outer aisles of the supermarket and avoid the middle aisles where most of the processed foods are kept. I don’t do it consciously, but my shopping pattern inevitably follows that idea. I almost always enter the store and start on the right where most of them keep their produce departments (have you noticed this?). I always start at the produce department so that I can pick out what’s in season, what’s fresh and what’s on sale that my family will eat. The fresh fruits and vegetables that I pick will influence what meats and other food items I pick as I start formulating meals based on what I had planned for and what’s available. After the produce section, usually on the back wall of the store, is the fish and meat department. I like this order because then I can decide what meats to get that would go with the vegetables I already picked out and again depending on what’s on sale and what’s available. I keep going on the store’s perimeter, past the deli and processed meats section towards the dairy section which is where I get most of our staple items, mainly milk, eggs and bread. Yes, in my grocery store, they are smart enough of to put the bread section immediately next to the dairy. Because along with the three main items from this section, I also get butter, cheese, yogurt, and sour cream in their various forms. What forms? You know, unsalted and salted butter, different cheeses (cream, mozzarella, cheddar, etc), different yogurts… I think at least a third of my weekly grocery shopping comes from this section. Immediately after the dairy section usually comes the frozen foods section which is not all bad if you know what you’re looking for. A staple item from the frozen section, which may not always be considered ‘healthy’ is Ice Cream. Well, it’s not diet food, but it still can be good for you. It’s made with milk, right? So make sure to pick the ones made with real milk or cream and you’ll be alright. The next thing from the frozen section that I get is a few frozen vegetable items. I try to get fresh most of the time, but when fresh is not available, frozen is my preferred alternative to canned. They just taste fresher and better. After I have gotten what my daughter calls the ‘REAL FOOD’ from the outer perimeter of the store, we move into the inner aisles (which my daughter aptly calls ‘THE BAD LANDS’) picking up other things on our list. Even as we try our best to eat healthy, we still get a few junk food occasionally such as chips and cookies and yes, even sodas. We’re not monks after all. We indulge just like others, but I believe in keeping things in moderation. Junk food gets a very small real estate on our shopping cart. The lesson is, if you do nothing else but stick to the outskirts of the grocery store, you are way ahead of the game in keeping your family eating healthy. Even if you don’t like to cook or are a novice cook, you can find food items in the perimeter that are healthy for you and are not laden with preservatives and other chemicals that could kill you. And if you need ideas and recipes on how to prepare food items from the grocery’s perimeter AKA the real food sections, the National Frozen & Refrigerated Foods Association (NFRA), whose aim is to showcase the benefits of foods from the refrigerated dairy aisle and the frozen section, has partnered with chef and culinary expert Aida Mollenkamp, to show new and different ways to serve food from these sections of your grocery store. The focus is to create healthy, balanced meals from these ingredients. 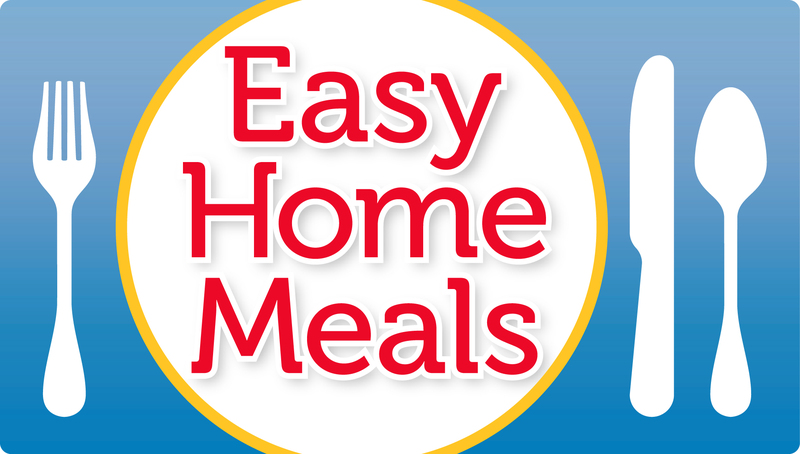 Visit http://www.easyhomemeals.com/ for information, recipes and other fun stuff. DISCLAIMER: This post is sponsored by The National Frozen & Refrigerated Foods Association (NFRA) and Global Influence.